Cara and Bola are the two characters from Carambola our lunch providers. These characters are featured on the children’s lunch bags and on the Carambola website. 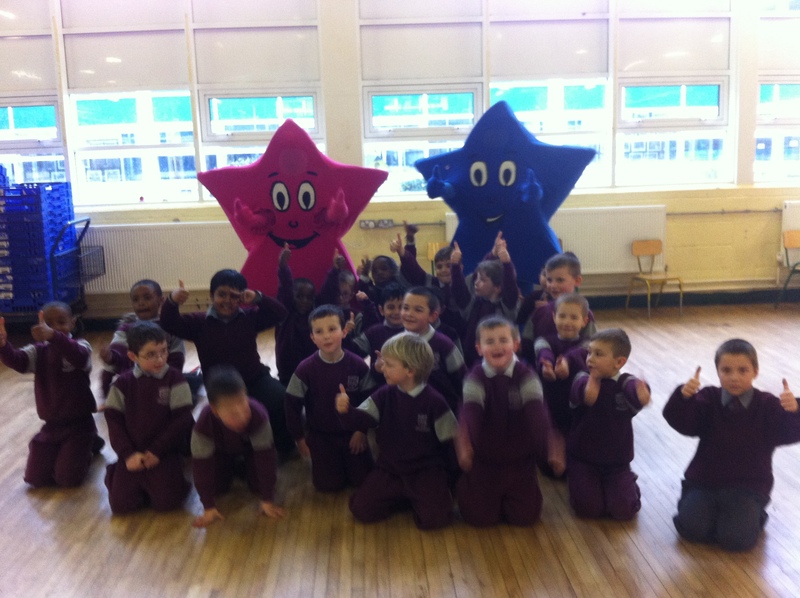 In the pictures they are seen with Maria Walsh’s first class on a visit to our school last week.Great Fun!